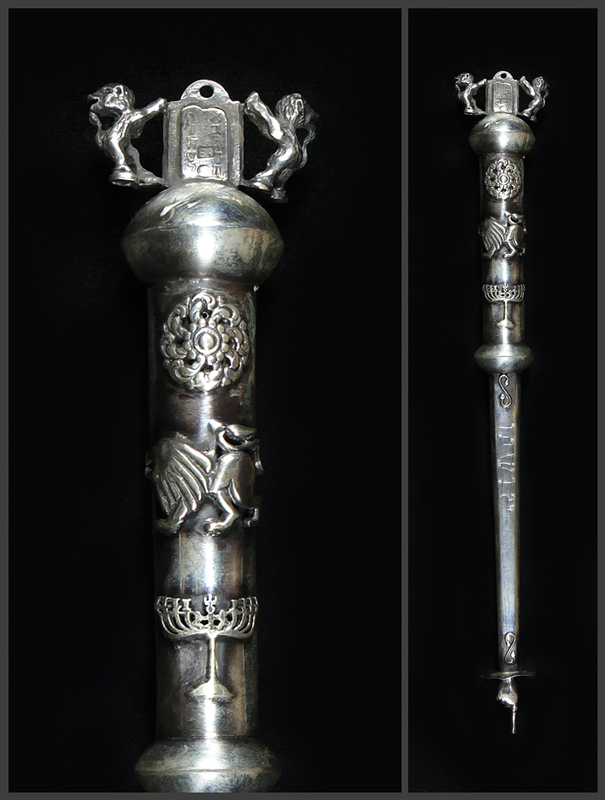 Russian silver Torah pointer. 10 commandments as a finial a lion and a menorah to body of “yad”. Stamped 1886 makers mark A.A with 84 for Russian sterling. Measures 11-1/2″ long.